In their latest effort to transform their platform into a fully-fledged e-commerce machine, Pinterest has announced a new search ads offering, giving marketers the chance to tap into the more than two billion searches conducted on the platform every month. Of course, two billion, in the wider scheme of things, is not much - Facebook sees 1.5 billion searches per day - but what's most interesting to note about Pinterest is the reason why people use it, what inspires people to search for Pins. You see, what Pinterest lacks in volume, it makes up for in intent. 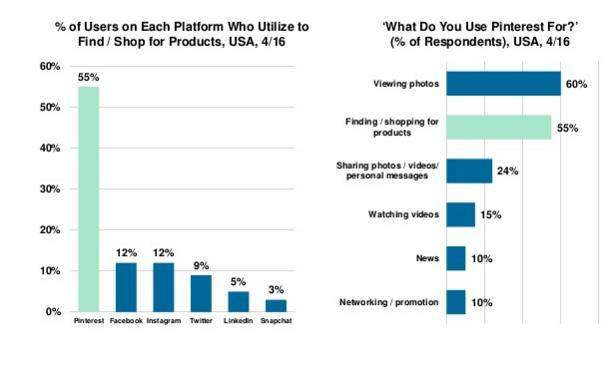 As highlighted by this slide from the 2016 Mary Meeker Internet Trends report, Pinterest has surged ahead of other social platforms in terms of purchase intent and shopping potential. So while Pinners may not be searching as much, when they do search, they're doing so with an intent to buy - in fact, Pinterest's own research has shown that 93% of active Pinners use the platform to plan for purchases, while 87% have purchased something because of Pinterest. The reach may be smaller, but the potential is still significant. Pinterest's search ads function much as you'd expect - when a user conducts a search for a key term (or key terms) you've targeted, your Promoted Pins show up, similar to how you would use Google search ads. "We're rolling out a full suite of features, including Keyword and Shopping Campaigns that are shown in search results, along with powerful new targeting and reporting options." 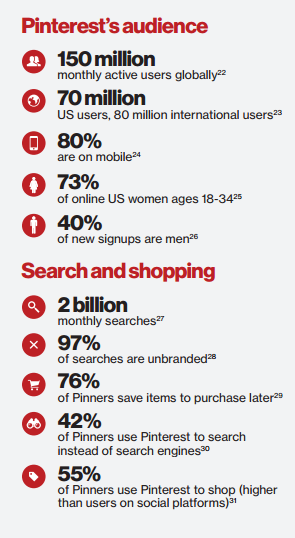 Pinterest also notes that the majority of their two billion monthly searches are for products and services, while 97% of their top searches are non-branded, providing expanded opportunity for businesses to reach browsing buyers. Given user behavior, the addition of search ads is a logical move for Pinterest - though the platform has seen some criticism of late for moving to slow to implement new ad options. 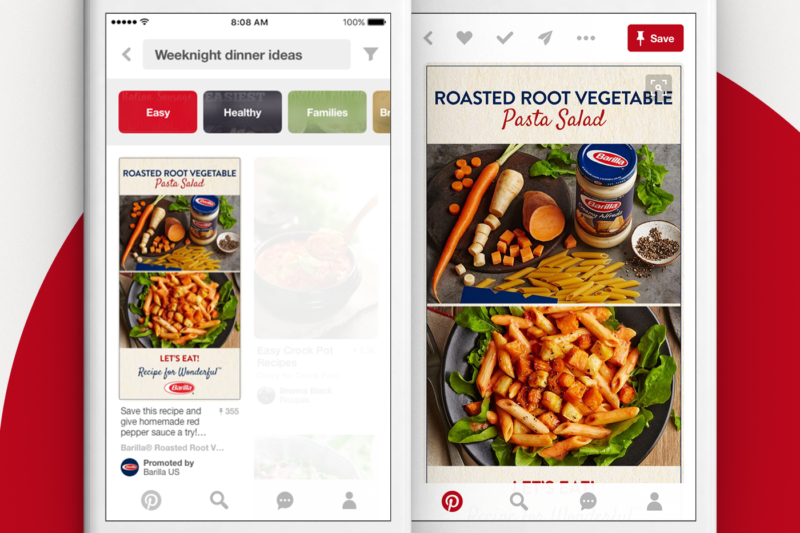 Pinterest has been working to improve this, rolling out a range of new tools in the past twelve months, including improved buyable pins, advanced image search capabilities, remarketing and custom audience tools, video Pins and an entirely re-designed mobile app experience. Documents obtained by TechCrunch in late 2015 showed that Pinterest's aim is to be generating more than $2.8 billion in revenue by 2018, and they still have some way to go before reaching that goal, with CEO Ben Silberman recently confirming that their 2016 revenue would be in the vicinity of $300 million. Given their stated goal, the platform will need to roll out a heap more tools and updates this year, though they do have some impressive features in the works, including advanced image recognition and virtual placement tools. Search is another addition to this, and while it may seem small, it could be a big winner for your business.